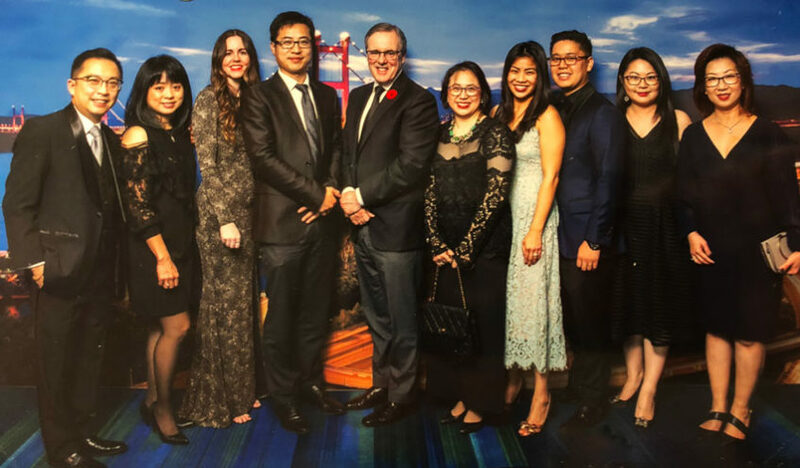 Saturday, November 10th, 2018, representatives of the Tridel Team joined hundreds of other guests at the Metro Toronto Covention Centre for the 27th Annual Cathay Ball, the highlight of Mon Sheong Foundation’s fundraising calendar. This year’s Cathay Ball dazzled guests with dancing, fine dining, entertainment, including the CarryOn Band, RSDivas Creative and Tango Soul Productions; exciting performances inspired by this year’s theme, “Splendours of Argentia”. A silent auction, which included more than 200 well appointed prizes, also contributed to the evening’s excitement and fundraising efforst. A Bronze Sponsor of the evening, representatives of the Tridel team were proud to attend the evening’s festivities. All proceeds of the Cathay Ball will be used to support the Mon Sheong Foundation. The Mon Sheong Foundation is a charitable organization which works to promote Chinese culture, heritage, language and philosophy through programs and initiatives that engage all members of their community.